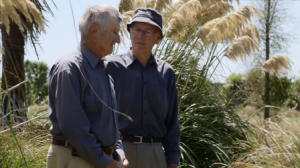 In the late 1990s local farmers embarked on the restoration of Harts Creek and Birdling’s Brook which flow into Te Waihora/Lake Ellesmere. With help and support from the local community, Environment Canterbury, Selwyn District Council, Department of Conservation and many others 13 landholders have now undertaken restoration projects on their farms. Hear about the project in our short video. Thanks to WWF and Environment Canterbury for their help in making this video. This video is the third in our series of short videos about improving drain management. For more information about drain management and links to the other videos, please visit our Sustainable Drain Management page. If you are having trouble accessing the video link to YouTube, it is also available on Vimeo. For an insight into the wildlife of Harts Creek visit photographer Steve Attwood’s blog about the area.